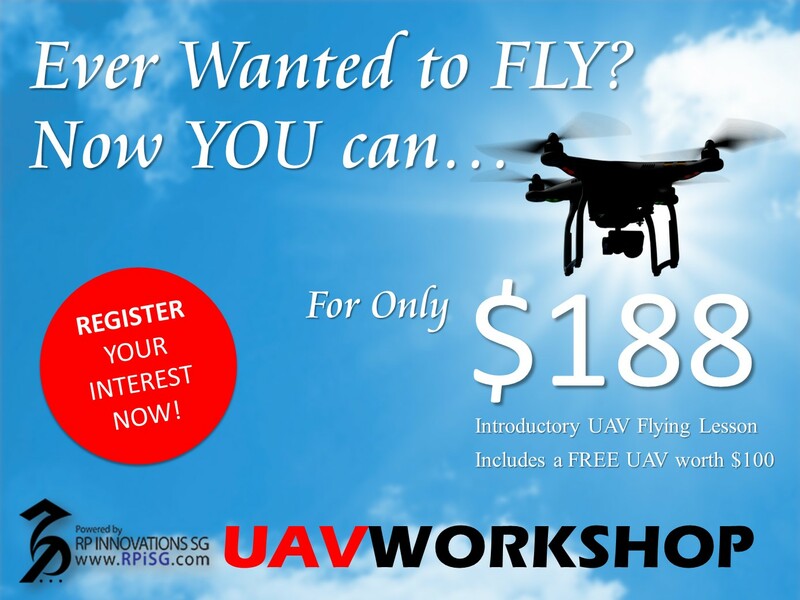 RP Innovations SG is proud to present this half-day introductory workshop on Unmanned Aerial Vehicles (UAVs). This workshop will cover the different types and uses of UAVs, theory of flight, components of a Quadcopter and the regulations set by the controlling authorities. In addition, participants will learn and demonstrate basic flight maneuvers during the hands-on session. Most importantly, participants will take away a quadcopter each to continue practising and enhancing their new skill set.